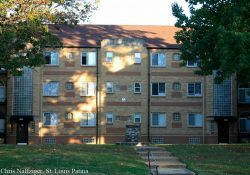 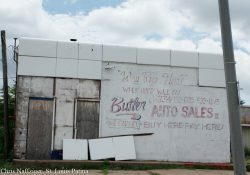 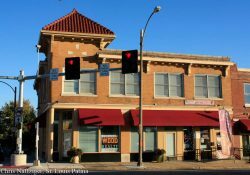 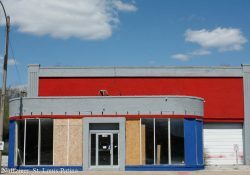 This building sits in a sort of no-man’s land, right next to N. Florissant, on a street that doesn’t look like it’s been paved in decades. 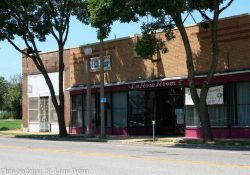 It has 16,000 square feet if you’re looking for that much space. 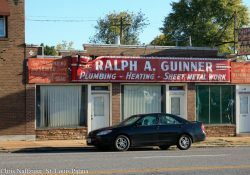 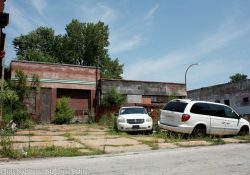 Back in January, I looked at the Green Book in St. Louis, and the bars that once lined Franklin just north of Mill Creek. 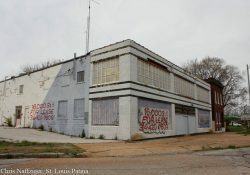 They’re all gone, but I did spot this place, perhaps a descendant of those bars. 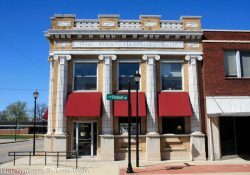 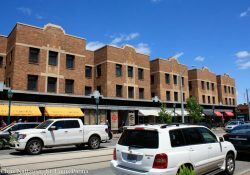 Quiet on a Saturday afternoon, Wood River’s downtown hosts an array of early Twentieth Century architecture.